plan to attend the 2018 SASS Regional-Gunfight in Dixie XVI, scheduled for November 6th-10th, 2018. Click this link to view a giant gallery of photos from SASS Southeast Championships - Gunfight in Dixie XV. Black powder night-time shoot (above) from the Gunfight in Dixie XV. This was the first time that the Memphis Gunslingers and the Memphis Sport Shooting Association have hosted a Regional Championship. We had a group of 227 shooters from 22 states participate in the match. Twelve vendors were present to offer their services and products for the shooters. 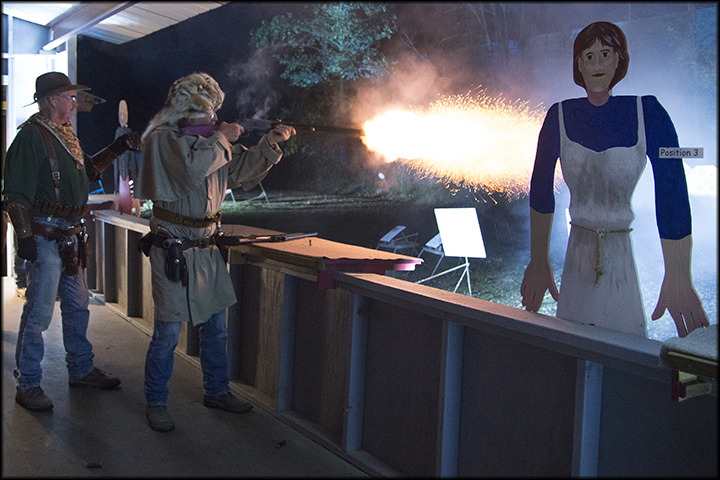 The activities started out with a night time Black Powder match which provided lighting up the stages with blasts of black powder. The winner of the match was Fast Eddie from Georgia. 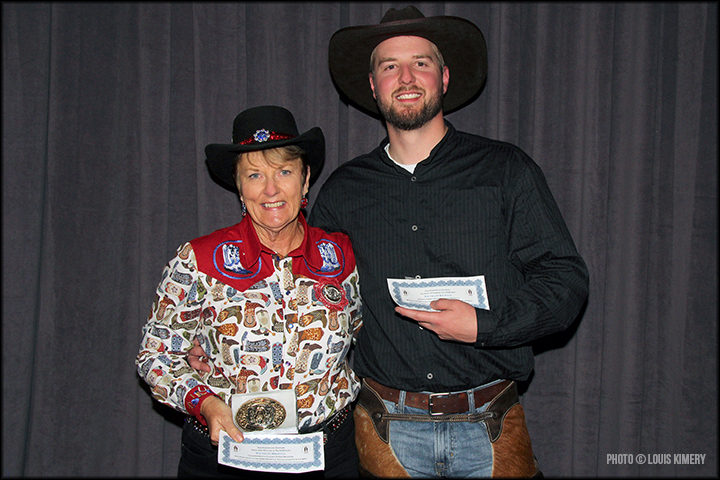 The 2017 SASS Southeast Regional Champs of Cowboy Shooting; Dodge City Dixie (Women), and Prestidigitator (Men). Thursday started out with shooting transition schools, one for the cowboys and one for the cowgirls. The men’s school was taught by Lead Ringer and T-Bone Dooley and the women’s school was taught by Shamrock Sadie and Kathouse Kelli. The Wild Bunch match provided additional fun for the shooters . The winner of the Wild Bunch match was Blackfish Kid, Mod. And Cardboard Cowboy, Trad. Thursday afternoon offered a team match for any states wanting to participate which was won by North Carolina with Lash Toru, Sandhills Slim and High Noon Henry handling the chores. The rest of the day was filled with side matches, long range competition and social gatherings by the shooters. On range meals were provided by Mike Smith with the Butcher Block. The 2017 Gunfight in Dixie XV Overall Champs; Kat House Kelli (Women), and Prestidigitator (Men). The match started early Friday morning with a safety meeting, Dahlonega Dave singing the National Anthem and Desperado Dave leading everyone in prayer. 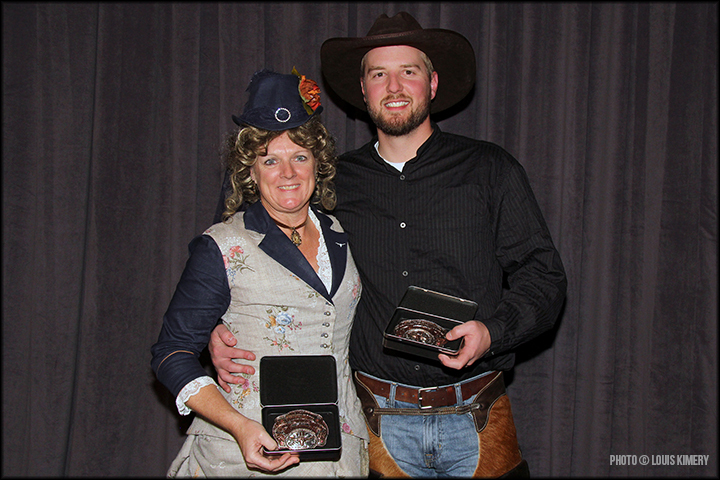 Five stages were completed on Friday and awards were given out Friday night at the range for Black Powder, Wild Bunch, and Side Matches. Saturday morning weather was pretty much a repeat of Thursday and Friday morning, a cool start with warming temperatures throughout the day and nice warming autumn sun. Following the Saturday final five stages provided a field of competitors for the “Top Gun Shoot Off” which provided a lot of entertainment for everyone. The men’s winner Prestidigitator and the women’s winner Kathouse Kelli squared off for the overall winner which was Prestidigitator. Saturday evening the banquet and awards ceremonies were held a short distance from the range. A special audio-visual presentation was shown honoring all of the Veterans in attendance on Veteran’s Day. Famous Memphis Barbecue was served and the awards were presented throughout the evening. Justice Lilly Kate and Judge Roy Bean #1 were in attendance and during the banquet Justice Lilly Kate informed everyone about the SASS Scholarship program. Fly and Just L with Photography & Design handled all photography during the awards and match.